— In “Adventures in plagiarism: Local paper rips off blog, thinks it did nothing wrong,” BroadStreetHockey.com details how Courier-Post hockey writer Randy Miller failed to offer proper credit in a story with his name on it. The piece goes then into considerable detail on how Miller responded to the accusations and the conflicting stories that he and his editor, Gary Silvers, offered. In a related piece, BroadStreetHockey highlights a number of tweets from Miller attacking the hockey blog — tweets that have since been removed from Miller’s Twitter page. — Meanwhile, the 2010 winner of the Pulitzer Prize for investigative reporting, Wendy Ruderman, has taken off for the New York Times and notes that the Philadelphia Daily News is “rudderless,” according to media watchdog Jim Romenesko. 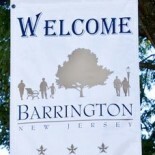 This entry was posted on May 17, 2012 by Barrington Bulletin in Region and tagged media.